Russia began an undeclared war against Ukraine in 2014, and economic warfare is part of it. It involves Gazprom’s lawsuits against Naftohaz before the Arbitration Institute of the Stockholm Chamber of Commerce. Commercial director of Naftohaz Yurii Vitrenko stated it at the “Stop Nord Stream 2: Ukraine’s Mission” roundtable, held at the Verkhovna Rada recently. 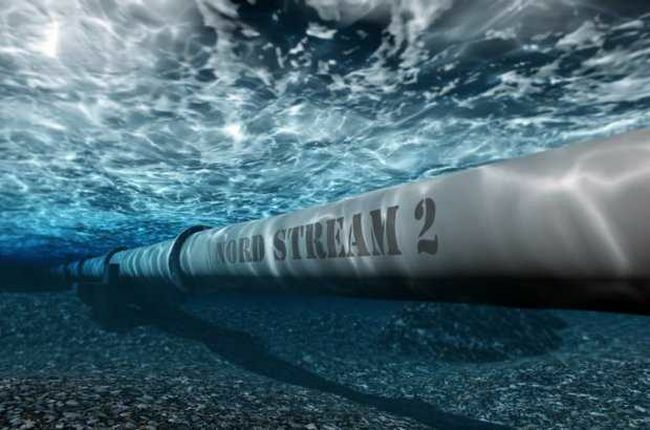 “Nord Stream 2 is another action in this economic warfare. Russia seeks to ensure that Ukraine simply does not receive transit revenues, which would cut three percent from the Ukrainian GDP. This is approximately the same as Ukraine spends on its military. This would effectively deprive Ukraine of the ability to finance its defense needs, even as it is defending not only itself, but also Europe, since we are at the forefront of this war,” said the commercial director of Naftohaz. Also, according to Vitrenko, Ukraine’s prospective losses from stopping transit, which stand at three percent of the GDP, are even greater than Russia’s losses from the Western sanctions. “I do not understand how, for example, responsible politicians in Europe would look into their voters’ and other international partners’ eyes when the latter will understand that the former simply helped to strangle Ukraine and Ukraine’s desire to become part of the European free world with their own hands,” Vitrenko believes. He noted that now the friends of Ukraine in the European Commission were insisting on making Nord Stream 2 compliant with the terms of the Third Energy Package. However, according to experts, the chances that the European Commission will block the construction of Nord Stream’s second line are almost non-existent. According to the deputy chairperson of the parliamentary committee on foreign affairs Volodymyr Ariev, Ukraine now has two options. “Either the US actually imposes sanctions against those who take part in this project, and I very much hope that in the near future legislative acts which provide for appropriate sanctions will be introduced in the Congress, or we will have to live with the second option, where everything remains as it is. We also need to take into account this ‘plan B,’ I mean the possibility that one way or another, Nord Stream 2 will be completed. In this case, I believe that Ukraine should demand a serious multilateral negotiation regarding guarantees for transit through the Ukrainian territory. They should be better than the guarantees received under the Budapest Memorandum,” the legislator summed up. As is known, the Nord Stream 2 gas pipeline is to cross the Baltic, connecting suppliers in Russia with consumers in Europe, and its length will reach over 1,200 kilometers. It is envisaged that the throughput capacity of the gas pipeline will be 55 billion cubic meters of gas per year. The cost of the project is estimated at almost 10 billion euros. At the same time, the Nord Stream 2 company has selected a pipeline route bypassing Denmark, since Denmark has remained the only country that has not yet issued a permit for the construction of Nord Stream 2, while such permits have already been issued by Germany, Sweden, and Finland. Ukraine opposes this construction project and calls it politically motivated. As an alternative, it proposes that the EU create a consortium with the involvement of European companies to manage the existing efficient transportation route through Ukraine. However, this idea is rejected in Germany, and the Nord Stream 2 project is regarded as purely economic there. Meanwhile, five bills have already been submitted to the US Congress that would impose sanctions against Russia because of Nord Stream 2. Companies that are involved in the construction of the pipeline run the risk of falling foul of US sanctions. “The US opposes Nord Stream 2 because of it being a threat to Ukrainian sovereignty, European energy security, the security of the Baltic and its potential for spreading Russian influence and corrupt practices to the very heart of the EU,” comments European energy security advisor at the US Department of State Benjamin Schmitt. According to him, it is quite obvious that Nord Stream 2 is a political project. “Nord Stream 2 is part of Russia’s hybrid aggression,” said Mykhailo HONCHAR, president of Strategy XXI Centre for Global Studies, at the “Stop Nord Stream 2: Ukraine’s Mission” roundtable. In an interview with The Day, the expert explained that Russia actually exported through its “gas pipes” political corruption, strife and... war. M.H. : “Ukraine and the US will stick to their position. Nord Stream 2 is not just unprofitable and unneeded for the EU, but is also harmful and dangerous. “One of the key things to have been said at the roundtable in the Verkhovna Rada of Ukraine was that this project should be viewed in a security coordinate system, and not only in the context of energy security. “While the Americans put forward a suspicion that Russia could use the pipeline for military purposes, my colleagues and I have proven in our study ‘Dual-Use Gas Flows: How Russia Wants To Gain an Advantage over NATO’ that it is not merely a possibility, but a certainty. We think so because Russia is doing so already on the Black Sea, where it is using civil infrastructure for military purposes. What is the logic behind all this? You say that it has been proven by you and your fellow experts that Russia undoubtedly uses civilian infrastructure for military purposes. Why Germany is making such a blunder? So, are they actually just pretending to be naive? “For most of them, including European politicians, this logic is a natural ‘German approach.’ If you have a bread knife on the table, the Germans do not think this knife is intended for anything else. And the fact that this knife can kill a person gets rejected by them, because it is not a dagger. “The Russians’ hybrid strategy is exactly about using for military purposes something that has no military purpose. At the roundtable which we are talking about, we managed to establish who is who at this stage of the confrontation. In your opinion, is the Ukraine-US alliance strong enough to withstand the Russian-German gas friendship, which, as you and your colleagues predict, threatens Europe with a strife and even military aggression? “First, I would like to note that the front of resistance is broader than we imagine. After the Skripal case, Britain has joined the opponents of Nord Stream 2. Poland opposes this project no less actively than Ukraine. In general, we can talk about 16 EU member states that stand against the Nord Stream 2 gas pipeline. Most of them, of course, are passively opposed. This is an alarm signal for the EU. “While having not actually built Nord Stream 2 yet, Russia has already achieved another important goal, that of deepening the split in both the Euro-Atlantic format and the EU. Moreover, this split has been made by the Europeans themselves.